Have you heard of ABC’s new series “The Kids are Alright”? 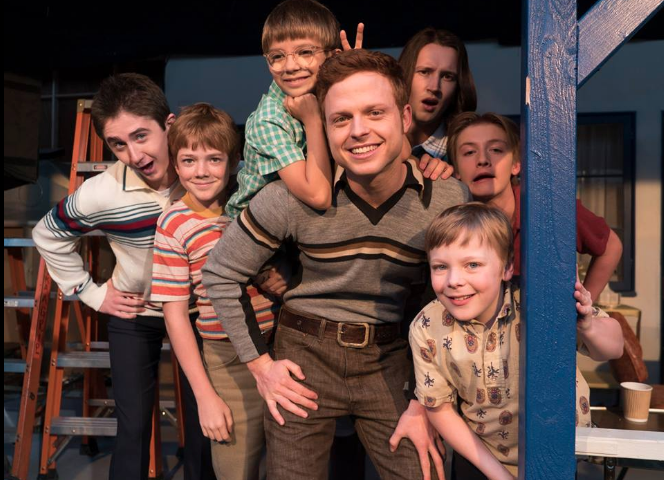 It’s a comedy that follows a traditional Irish-Catholic family in the 1970’s and I’m absolutely in love with this show. As someone who grew up in the 70s, walking through this set was literally like walking through my childhood. 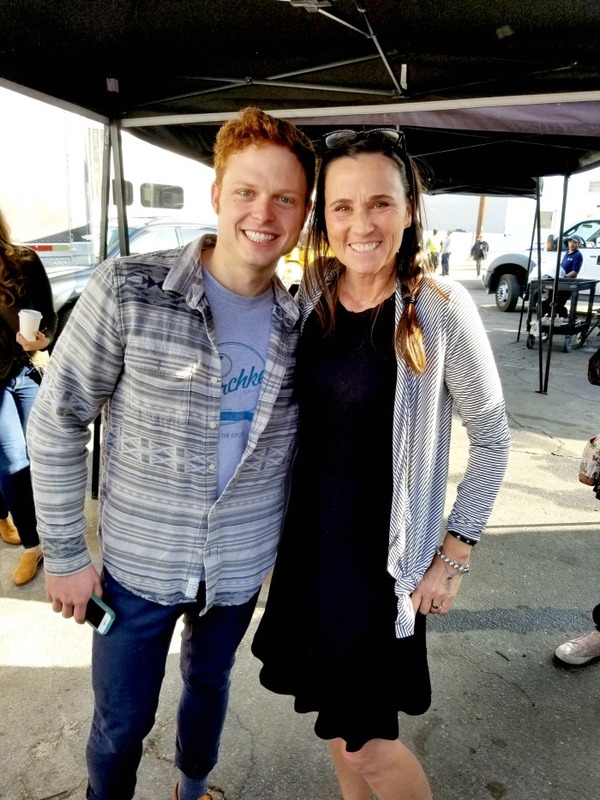 A few weeks ago while I was in LA, I had the opportunity to tour the set and meet show actors Caleb Foote (“Eddie Cleary”) and Michael Cudlitz (“Mike Cleary”). 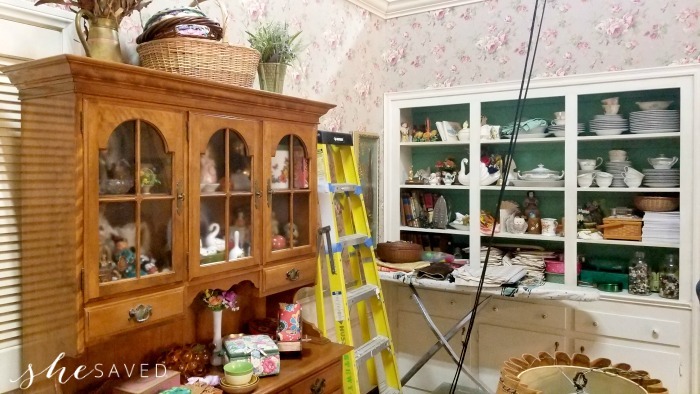 We also had the chance to meet production designer Michael Whetstone, set decorator Claudette Didul, costume designer Susan Michalek, line producer Kris Eber and the show’s creator, showrunner and executive producer Tim Doyle. It was such a fun experience and not only were they all so fun to chat with, it was really neat to get a peek at a behind the scenes look at show this show comes together! 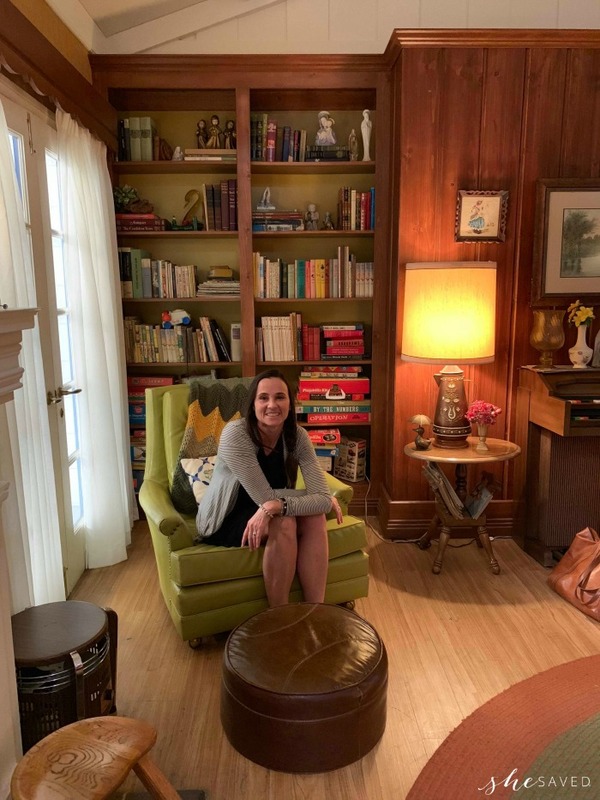 I think that I was most fascinated with set decorator Claudette Didul and the amazing job that she did in transforming this set into a replica of a 1970s-ish home. It was so unbelievably realistic. 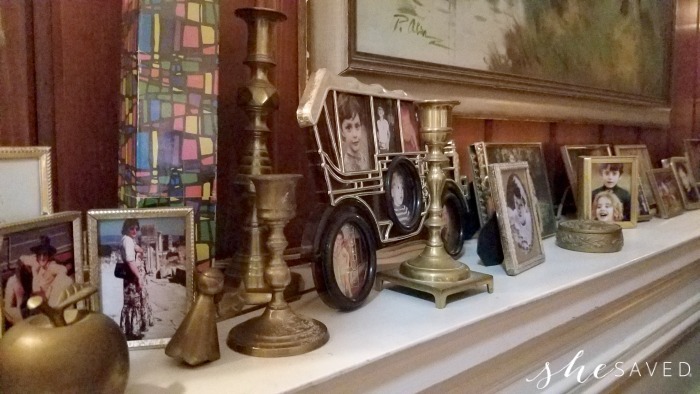 She shared with us that she found many of the items at estate sales and that because the family that this series focuses on was in a lower income bracket, most of their actual possessions were not necessarily 70s items, but many were actually 60s because they weren’t buying new things and a lot of their furniture and home decor items were hand me downs, etc. It was so well done. I loved the set, so I took a ton of photos to share with you and even have a video coming soon that I think you’ll enjoy! 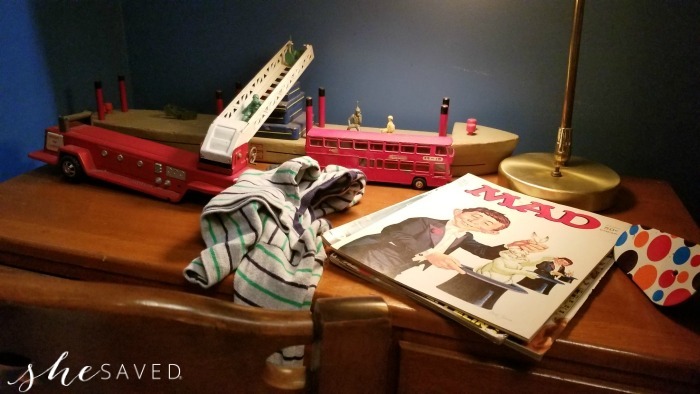 One thing that I loved the most about this set is that you could actually feel the chaotic nature of a family this size and the little clutter piles and mounds of “to do” things spoke so loudly of a busy mom just doing her best to stay on top of it all. The children’s rooms were like stepping back in time. 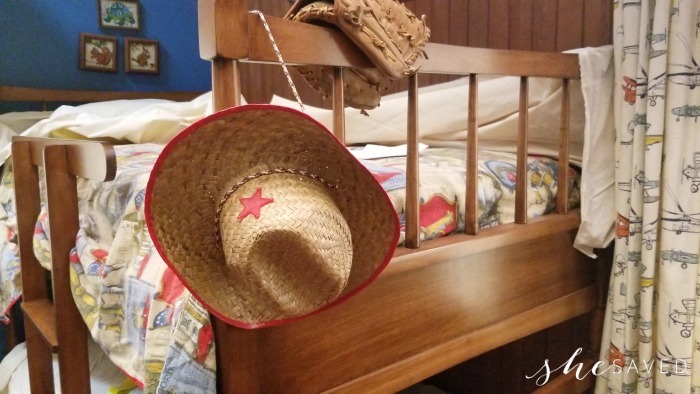 Everything from the linens to the toys. This family spends quite a bit of time in their backyard so they even have a separate set for that, which we toured as well. 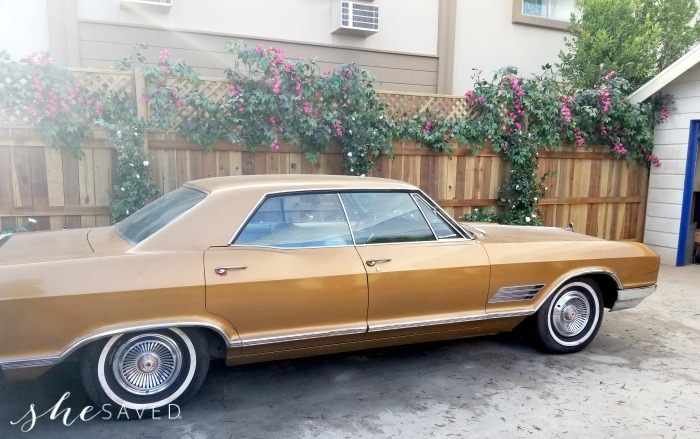 That set includes are garage and even the family car. 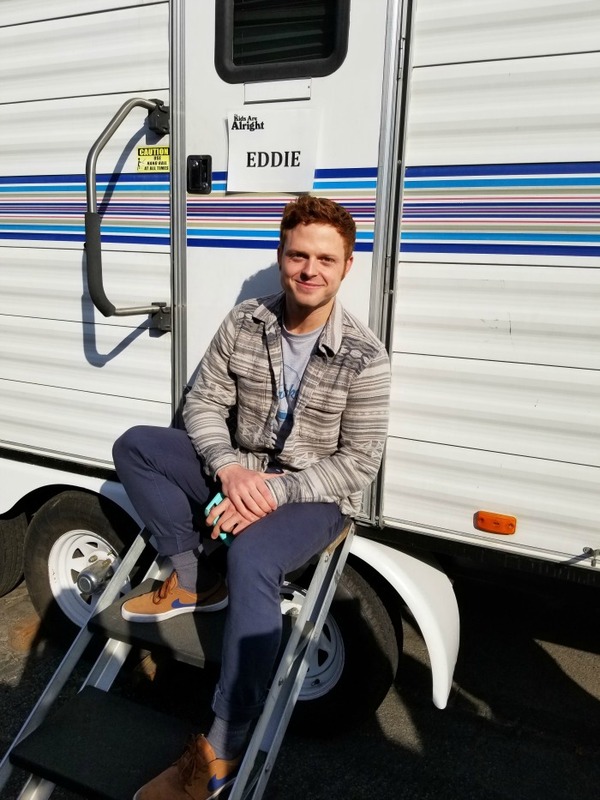 Actors Caleb Foote (he’s a doll, by the way) plays Eddie Cleary on the show actually stayed with us most of the tour and was so helpful in showing us how it all comes together. 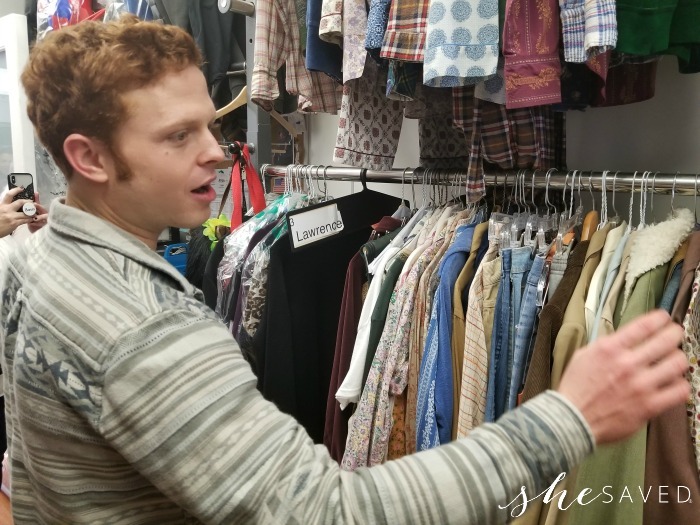 Here he is showing us the wardrobe trailer and how they sort the clothing. 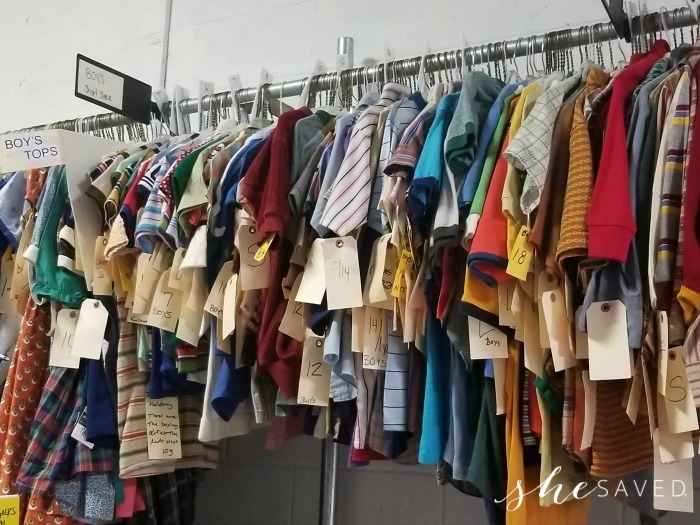 One thing that I found particularly interesting about the wardrobe planning is that since they are such a large family of boys, the would have of course utilized hand me downs over the years, so as the show continues, you will actually be able to see the younger boys start to wear hand me downs that their older brothers wore in previous seasons. How cool is that? 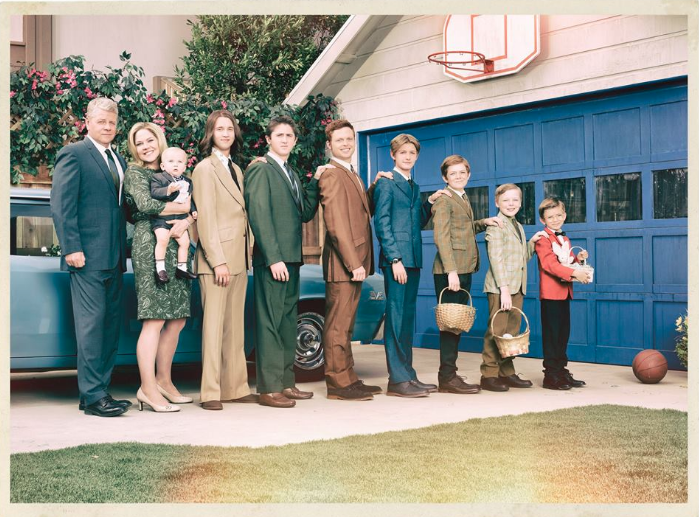 I really hope you’ll tune in tonight to watch this show, so fun for the whole family and a great peek into a totally different generation and place in time where in some ways, life was just so much more simple. I think moms will appreciate Peggy and how her character manages to keep everything together and at the same time, moms will get a chuckle at just how far things have come since the 70s! 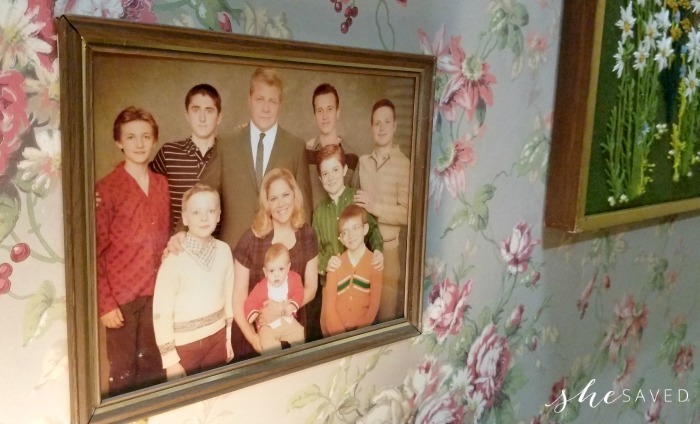 I’ll definitely be watching, it’s our new favorite family show and I think that you will really enjoy it too! The Kids Are Alright” airs TONIGHT! Tuesdays at 8:30|7:30c on ABC.